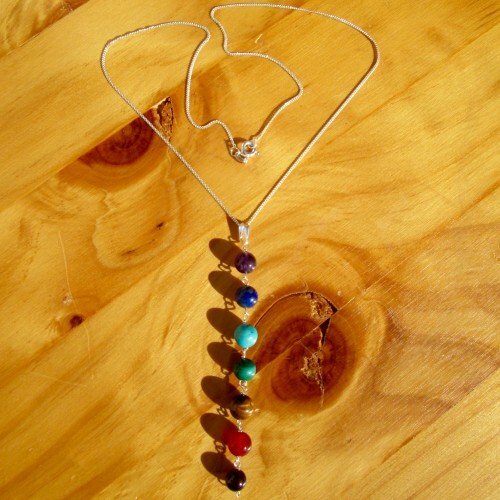 Chakra necklace pendant sterling silver disks is hand made with seven natural chakra crystals. 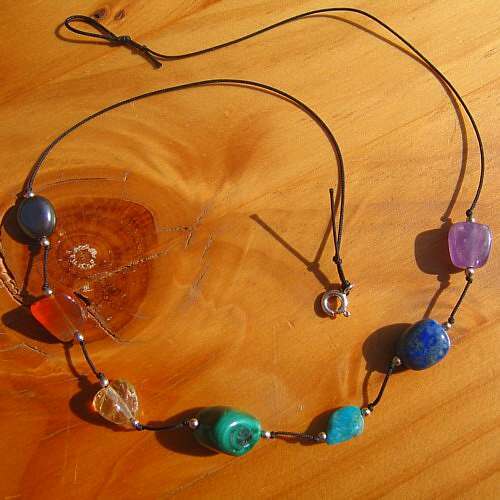 I set amethyst, lapis lazuli, turquoise, malachite, citrine, carnelian and garnet onto silver wire. Then, on to a sterling silver necklace with three sterling silver ‘doughnut’ shapes. As a result you have a chakra necklace pendant of bright chakra crystals which stand out perfectly on the sparkling sterling silver. 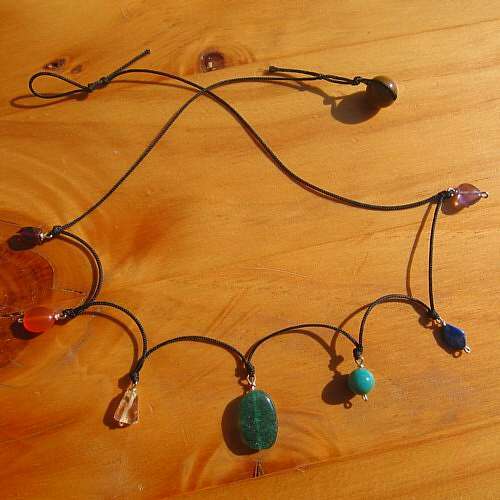 While each chakra stone corresponds with each of the seven chakras, you will also love wearing this. 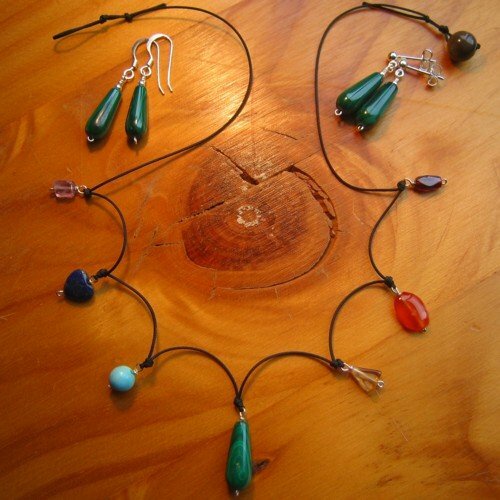 Because the crystals used vary in shape size and colour, your “chakra necklace pendant sterling silver discs” is unique. Approx. 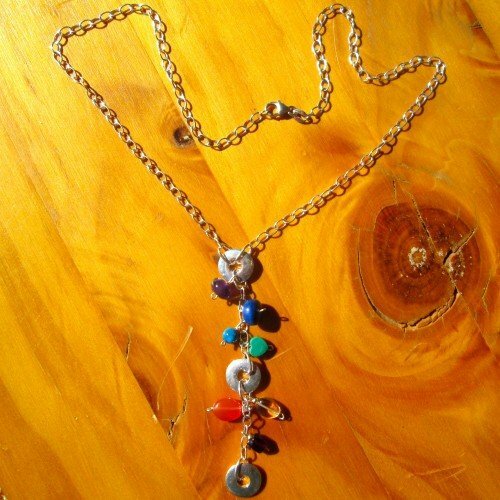 length of the chain is 16 inch/40cm. The drop is approx. 3 inch/8cm long. One size only. Absolutely lovely piece. Compliments so many of my outfits. I’ve had lot’s of comments on it.